This weekend is the 10th Crossover Festival. Crossover is a brilliant event and I’ve been proud to be part of it. But this year I’ve not been involved. After the last event I felt it was time to step back and to allow others to bring their ideas and dreams to the event. I have a sense that this might be the last one. That would be a shame but perhaps it has run it’s course. Only time will tell with that question. I’ve been invited to visit and I might pop in at some point over the weekend but maybe not. I’m not sure yet. The National Youth Agency (England) have just published an interim report from a study into Youth Worker’s attitudes to Social Networking. The project blog is here. Not surprisingly only 35% of youth workers felt able to help young people take advantage of the opportunities of Social Networking as opposed to 53% who felt they should focus on the dangers of the Internet. There are a huge range of opportunities to do good, creative work with young people using online tools and social networking sites. The Internet is here to stay. Let’s get busy using it positively. I’ve finished my last essay of the term. It was a report on how to conduct a critical literature review. Hard going!!! But that’s me all finished for this year. Just two modules and a dissertation to go and I will be a Master! 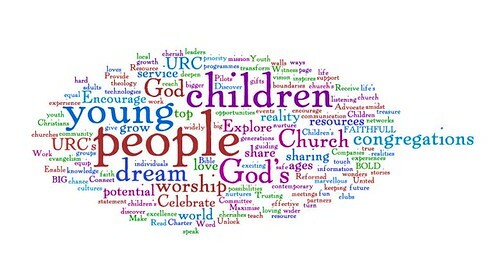 Tomorrow I’m off to the URC Synod of Scotland minister’s conference. They are spending 3 days looking at Risk and I’m leading a session on Thursday morning on Risk and Young People so I want to see what they have already covered. No point in repeating! In other news Lucky Dave is in Manchester clutching his ticket for the Uefa Cup final tomorrow night where his beloved Rangers take on St Petersburg. I hope Dave, Marc and Sponge have a brilliant time. It was great to see all the cars an buses heading down the motorway towards Manchester today. Good luck tomorrow. My team, Motherwell, have qualified for next year’s Uefa Cup. Here’s hoping we get just as far!! !